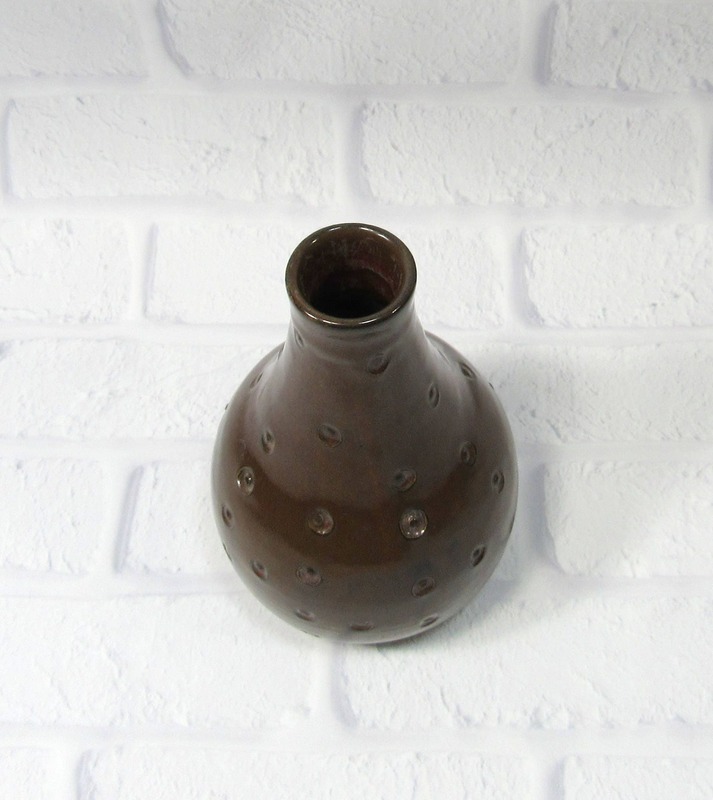 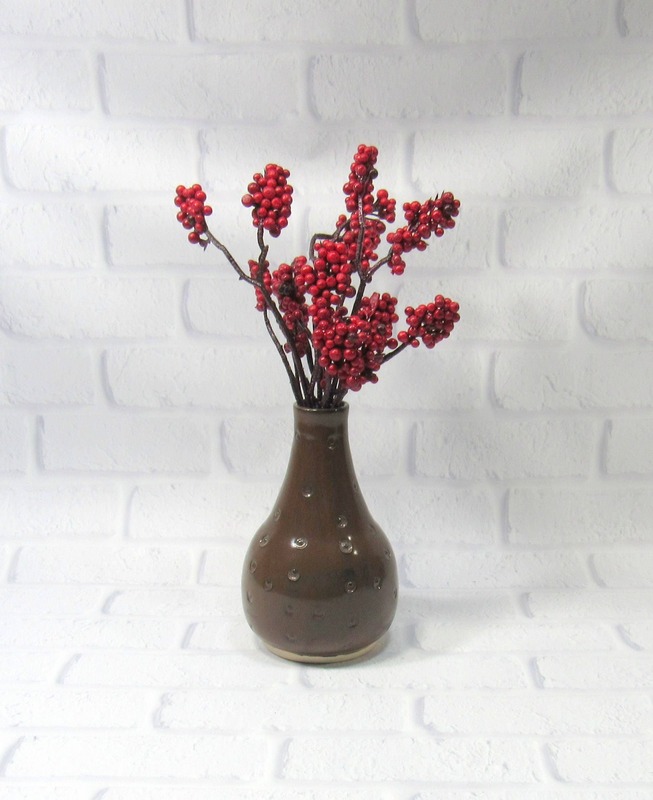 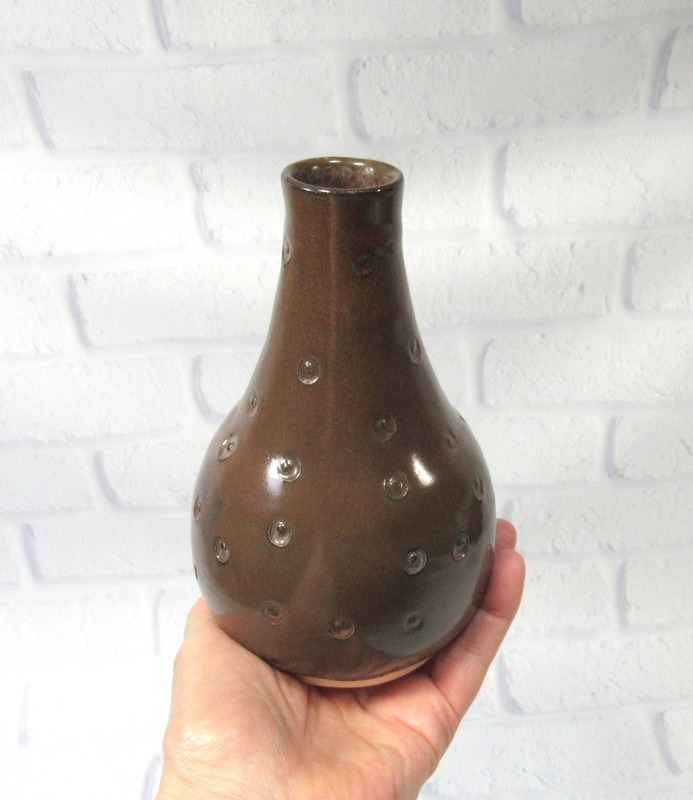 This ceramic bud vase will look wonderful showcasing the blooms from your garden. 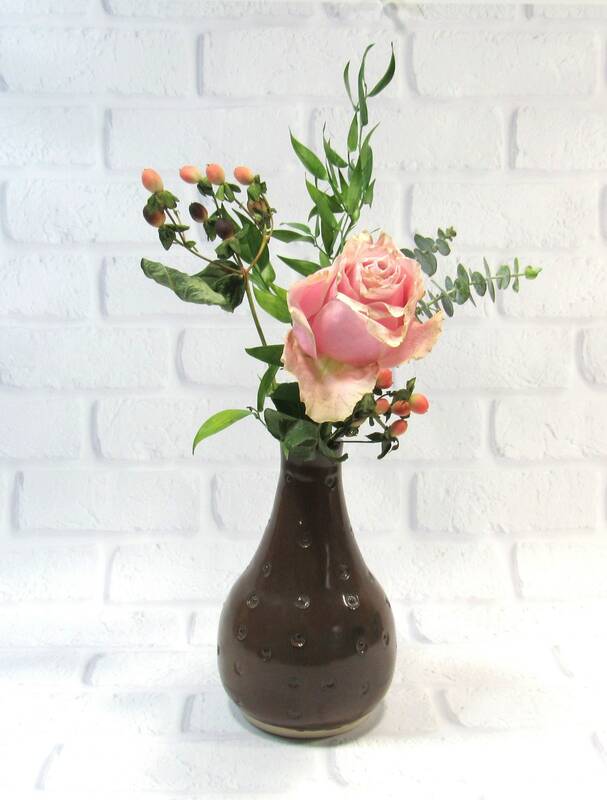 It is ideal for the flowers that children bring their moms or teachers and is a perfect gift for grandma. 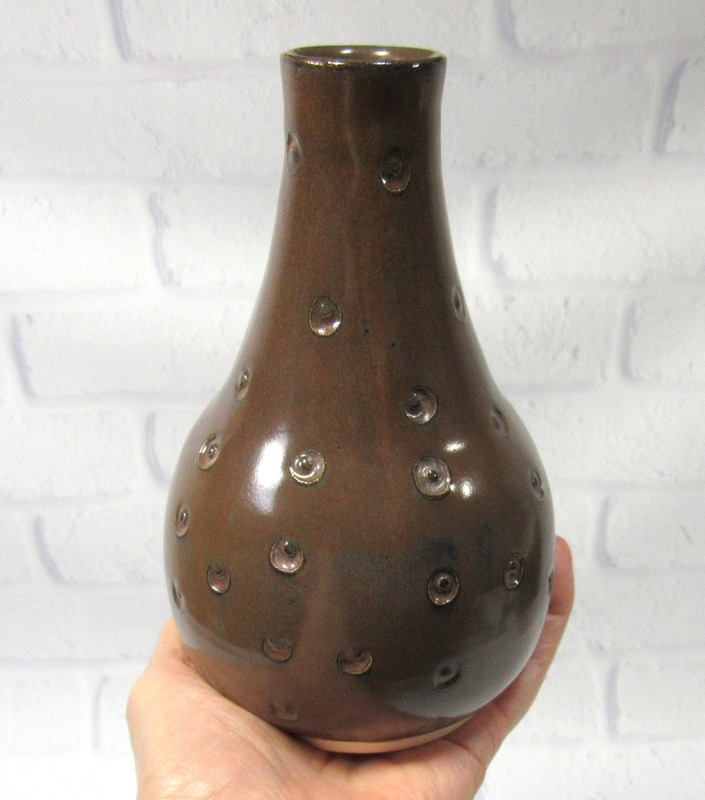 The vase is 6.25 inches tall. 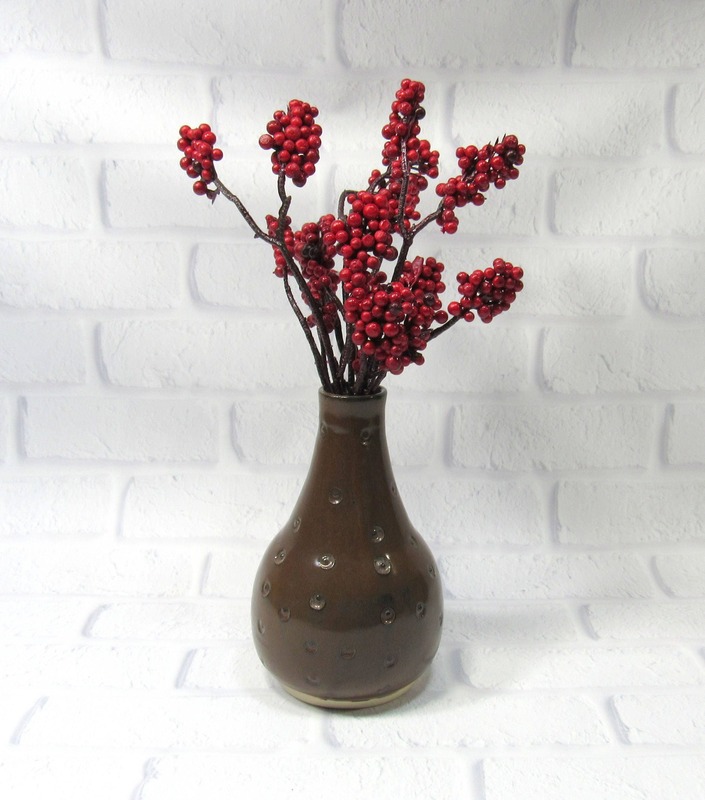 I made this flower vase on the potter's wheel in my Virginia studio. 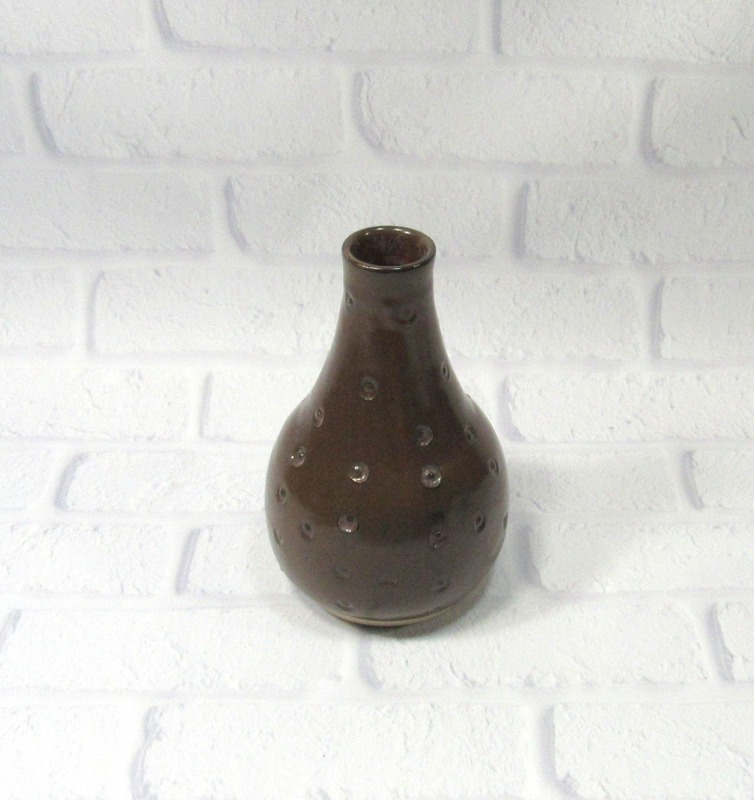 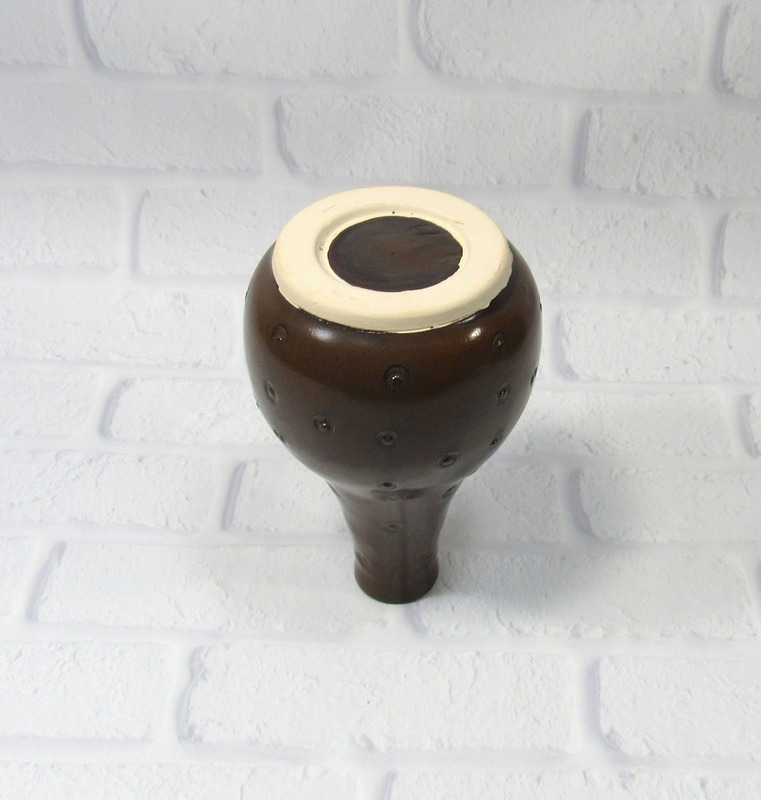 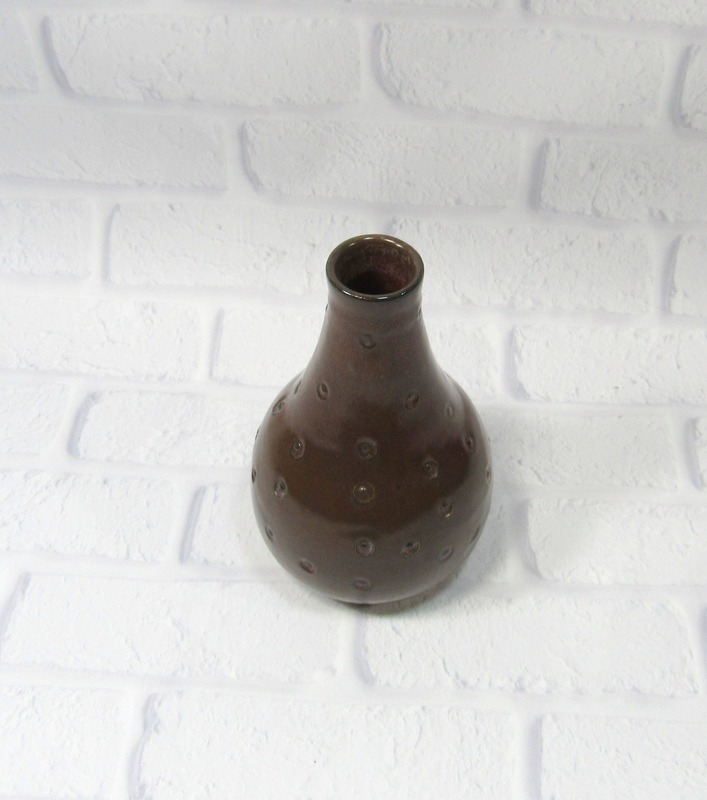 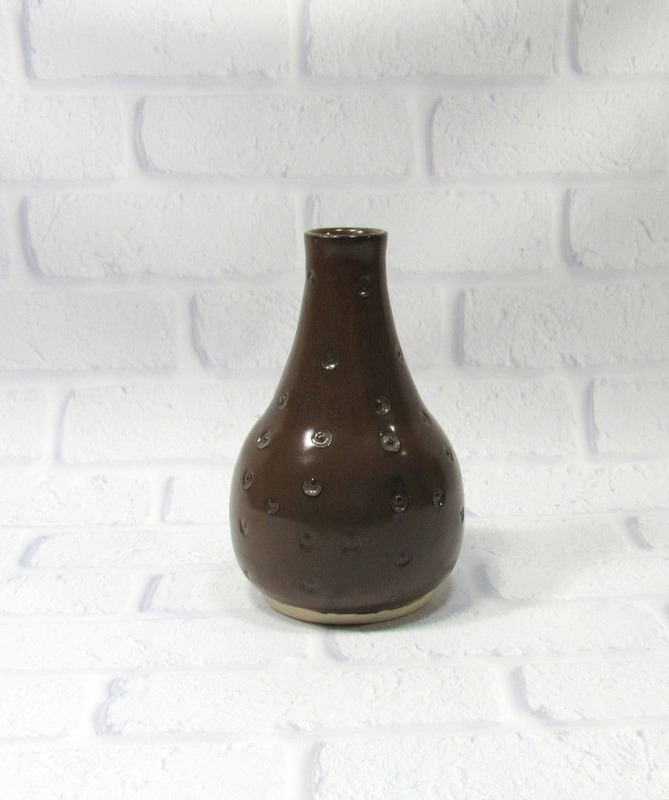 It is glazed in a dark brown glaze and has texture details throughout.